The aviation world is a man's world--it always has been, and it continues to be so today. In fact, women make up a mere 5 to 6 percent of the total pilot population worldwide. But from the first time Erin Seidemann experienced what it was like to see the world from a small plane's perspective, she was hooked--and she's spent much of her time since then fighting her way into becoming one of that 5 to 6 percent. 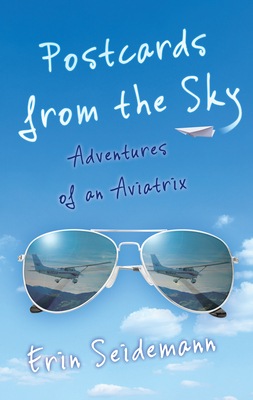 Postcards from the Sky: Adventures of an Aviatrix tells of the struggles and adventures one encounters as a woman in the male-dominated space of aviation. With humor and equanimity, Seidemann recounts her varied experiences as a female pilot--from the chauvinistic flight instructor she makes the mistake of falling in love with to the many, many customs agents who insist she can't possibly be her plane's owner ("Where's your boyfriend?") --while at the same time giving insight about just what makes flying so incredible . . . and so very addictive. Frank, funny, and full of adventure, Postcards from the Sky is an entertaining foray into a world few women have dared enter.